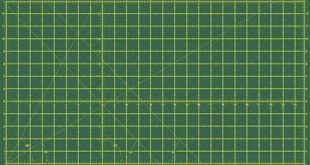 5 Best Irons for Quilting - The Irons Every Smart Quilter Should Use! Every quilter needs the perfect iron to help put finishing touches to their quilts. A good iron must never be missing in the toolbox of a quilter. Aside from a quilting sewing machine, it’s the next most important tool. An iron that does not burn fabric, leak or pack up after few months of usage is what you need. 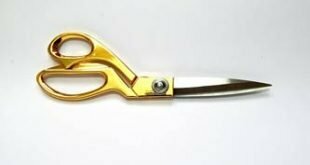 I discussed with some regular quilters for their opinion on the best iron for quilting. In general, they all agree that ‘’the steam power of an iron and the heat settings are very crucial for achieving the best result’’. 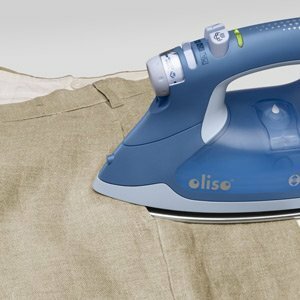 The Oliso brand is no stranger to quilters, as they are best known for irons that brings satisfaction to every quilter. Relying on the iTouch and OnePass technology, the irons from the stake of Oliso is a darling for a professional quilter. Do you want to enjoy pressing as much as you enjoy quilting? Then Oliso TG1050 should be in your quilting toolbox. Don’t worry about burns and scorches, the iTouch technology has got you covered. Replacing the water of the iron is on the go while you work as the tank is strategically located at the side to make refilling easier. You can move anywhere while you work; the 8’8” cord is long enough. While you may agree that the anti-drip system of this iron is the unique selling point, I think the steam power is extraordinary. All in all, Oliso TG1050 is a power horse that quilters will enjoy. Rowenta has positioned itself as a top choice for quilters when it comes to irons. This German brand has over a century of producing the right appliance for both domestic and industrial usage. The Rowenta Steam Iron is often acclaimed to be one of the premium products of the brand. The Rowenta DW5080 has a unique but stylish look when compared to other irons in its price range. Despite its sleek look, the powerful iron made for quilters churns out 1700 watt of heat, enough for heavy usage by quilters. Don’t overlook for its weight, this is an iron that does it job fantastically whenever called upon. You have the choice of tweaking the iron to satisfy all your needs. Imagine having 400 holes, that’s enough steam to finish the most difficult quilting task. There’s a 10-ounce water tank that is enough for long usage, and it’s self-cleaning also! Considering its affordability and excellent features, every expert quilter must own one of this. There’s no need introducing the Oliso brand anymore, anywhere a quilter see an iron with the Oliso brand tag, you know what you are in for. Fabric pressing for a quilter is more of a breeze with this excellent iron. Enough steam power to deliver excellently for a quilter. On the surface, your iron will look new without a scratch for a long time. Why? the soleplate is built to resist rust and corrosion. This is one of the specially made iron for quilters, featuring as many holes that quilting deserves. 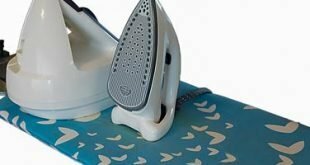 You will go over a spot just once with this iron, as it does the job without a second press. The iTouch technology was also an important feature of this iron, this is to avoid tipping, scorching or burning of fabrics. You will never experience any incidence of leaking even after a long usage. There are so many reasons to love this iron; the elevating features, steam flow, and powerful but controllable heat produced. Even though slightly higher than others on this list; it is worth the price tag. This may be a small iron but that does not limit it function and efficiency. Built to look classic like irons from the oldies. You may not find the old look adorable but that is not where you should look at. Instead, focus on the quality of heat it oozes into the materials. The cheap price is due to the use of aluminum soleplate and far less power of 1100 watt. In addition, there are limited features compared to other irons but nonetheless, it performs excellently without the whistles. Theirs is nothing complicated with the controls, basic enough for simple use. For it size, it’s quite a heavy iron making it solid with a good grasp and control. Settings adjustment on this quilting iron is straightforward and convenient. The selector dial and steam controller are placed on the top of the iron rather than the traditional position below the handle. The absence of a spray mist and the inability to ascertain the water level inside the tank is a limitation. Quilters in need of a basic iron will find this useful as it is simple enough to erase stubborn crease. Sunbeam irons have been around for quite a while and people love them for its affordability which does not translate to sacrifice in quality. They may be without extra top range features but that does not mean they are not the perfect iron to rely on. With just 15 steam holes on its smooth gliding stainless soleplate, stubborn wrinkles will become non-existent with every pressing. Vertical steaming is possible on this iron and there is a 3 seconds’ interval for the release of steam by this iron. There’s an 8-ounce self-cleaning water tank, with a recommended cleaning once a month. As a quilter, the 15 minutes’ automatic shutoff time will be found useful. The temperature dial is placed at the front for easy control and prevent accidental touch which distorts the settings. The dark water tank which does not help to know the water level and the bulkiness of the iron are the few drawbacks. Sunbeam has built an iron every quilter can rely on even at an affordable price. You get also a retractable cord function for this iron. Nonetheless, this is quite a good quilting iron with an affordable price tag. Remember when buying a quilting iron, the main criteria is usually the iron type, variable heat settings, and power. All the irons reviewed meet this important prerequisite. That’s why they are currently my best quilting iron for 2017. Oliso TG1600 with a power of 1800watt will make every professional and expert enjoy quilting. BLACK+DECKER F67E Classic Steam Iron is without bells and whistles. Just plug in an iron! Lastly, when on a budget, there’s still an iron that does the job. Sunbeam Steam Master GCSBSP-201-FFP 1400 Watt Iron is inexpensive and does the job accurately. An iron every quilter will find useful and indispensable.